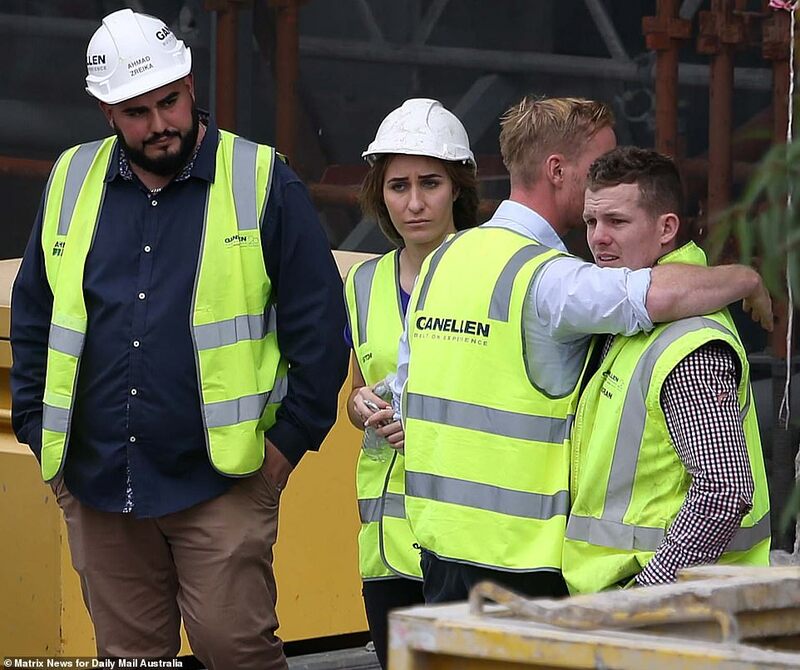 This is the harrowing moment tradesmen frantically tried to save two colleagues trapped under a mountain of collapsed scaffolding at a construction site. 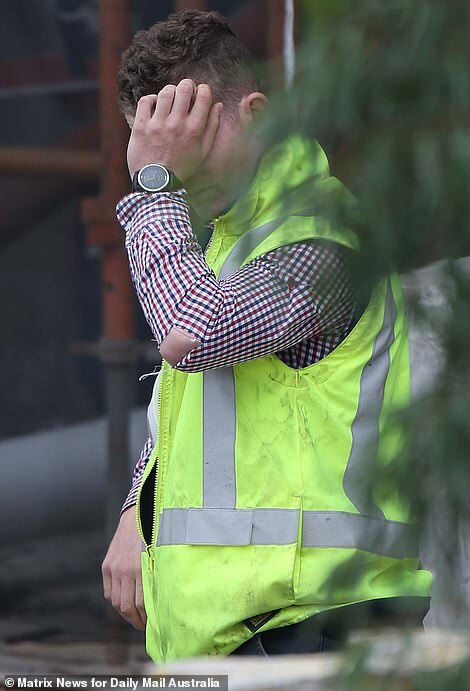 Piercing screams echoed around the site in north-west Sydney as tradesmen in hard hats and high-vis jackets rushed to free the men. 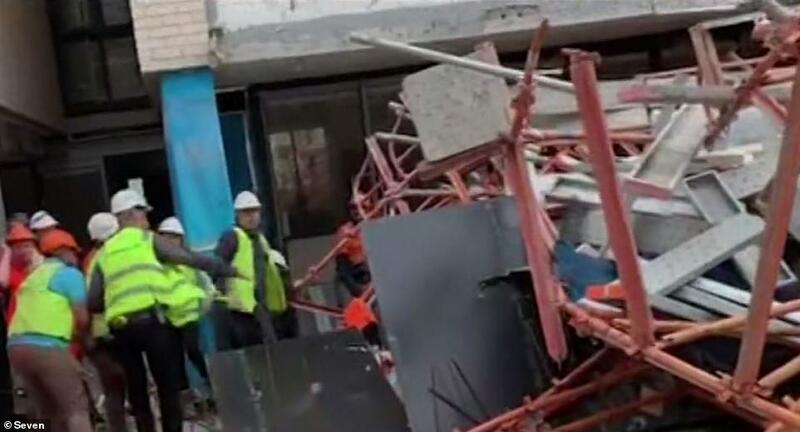 New footage of the frenzied scene shows men forming a human chain to remove the rubble as fast as possible. 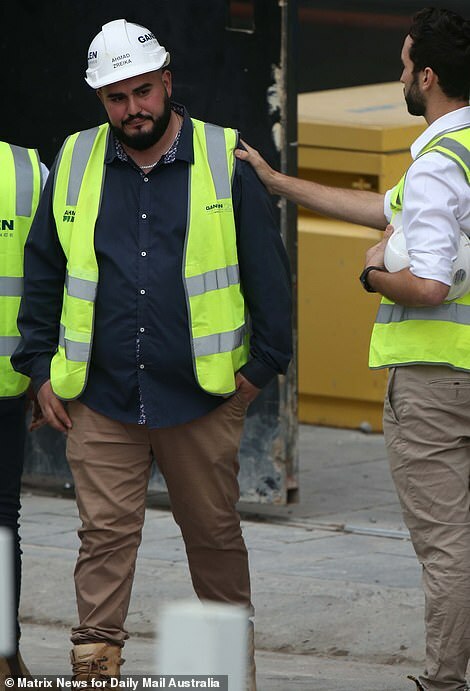 Frantic workers desperately tried to free their colleagues for 20 minutes until the wailing stopped and they were ordered to move away. 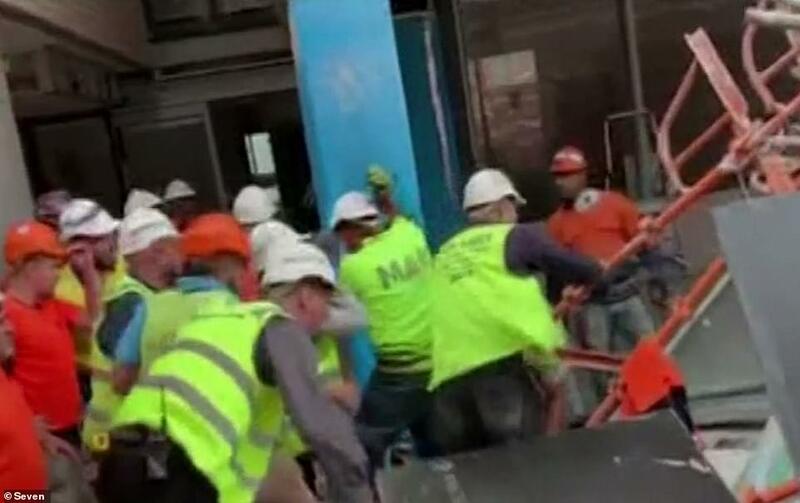 'We started cutting with the grinders and hammers until about 20 minutes later we couldn't hear screaming anymore, that's when the supervisors told us to move out,' worker Albert Muscat told 9News. 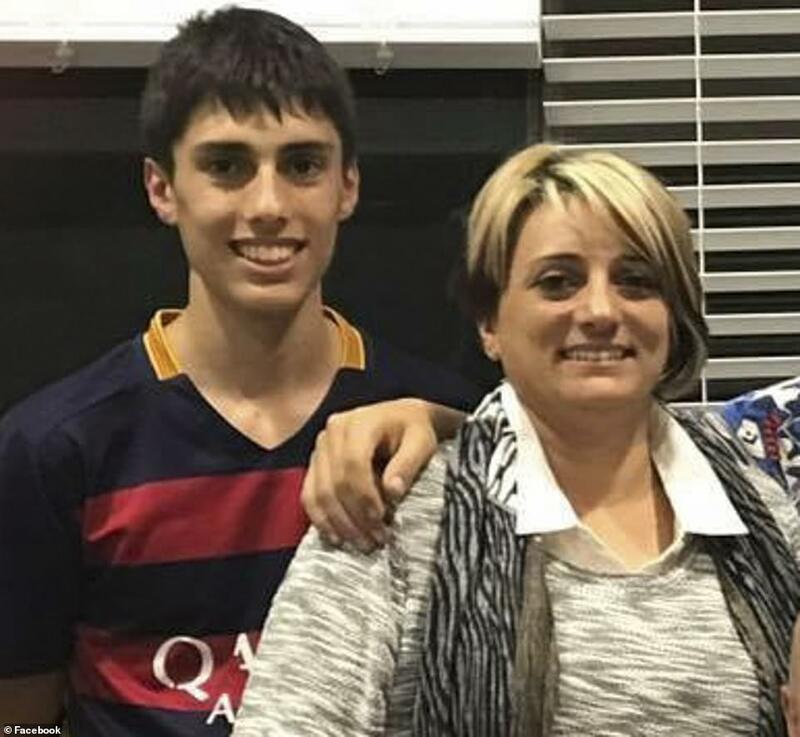 Christopher Cassaniti, 18, died in the collapse at Macquarie Park on Monday after he fell from an eight-storey building and became trapped under twisted steel and concrete. 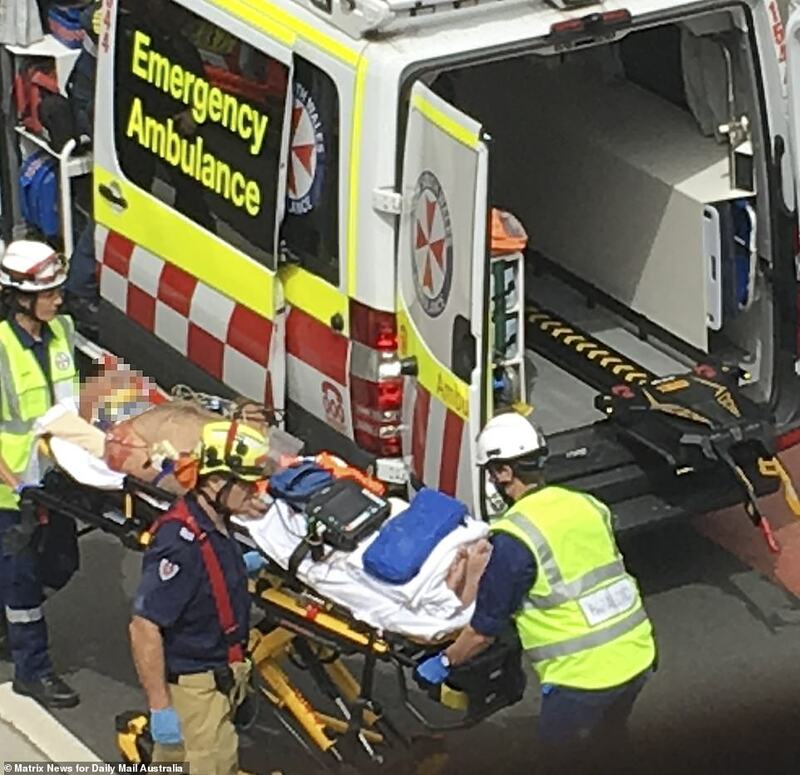 His 39-year-old colleague was pulled from the debris and raced to hospital in critical condition. Devastated friends and family paid tribute to Mr Cassaniti on Monday night. 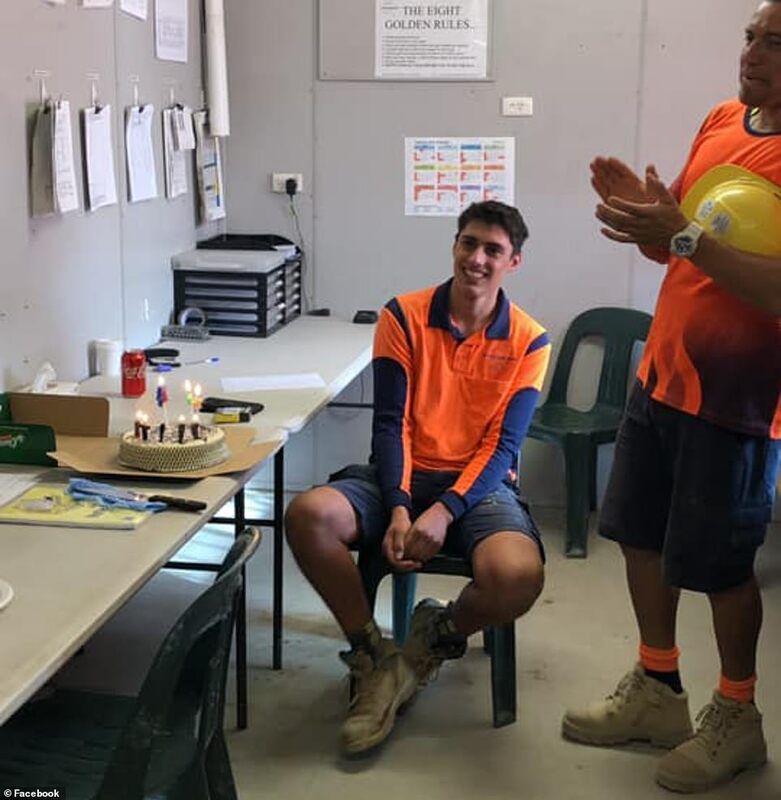 The young man recently started his first ever job at the site and was pictured in videos celebrating his 18th birthday with workmates on March 27. 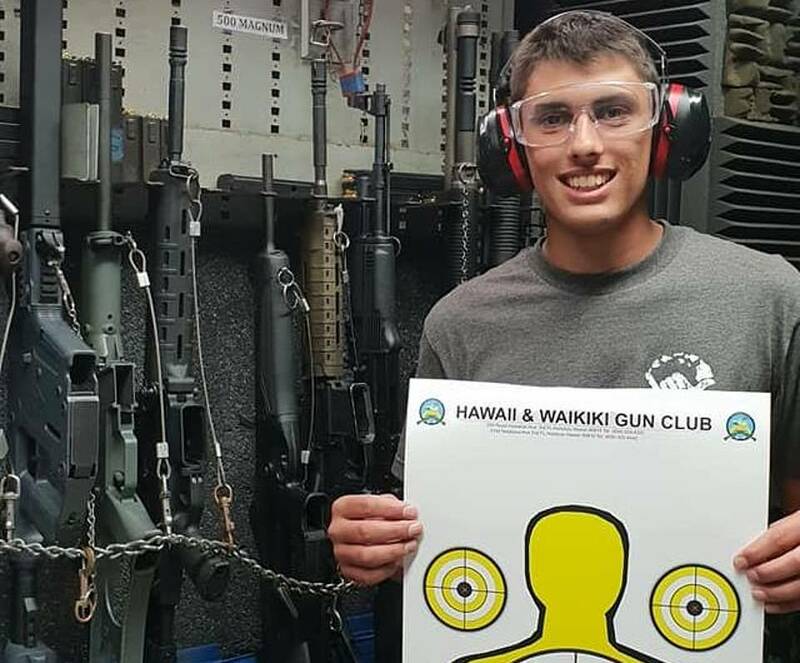 On his birthday, Mr Cassanti's mother posted a moving message on Facebook about her son. She wrote: 'Today, 18 years ago, was one of the most terrifying moments of my life that was then fulfilled with much relief, joy and happiness. 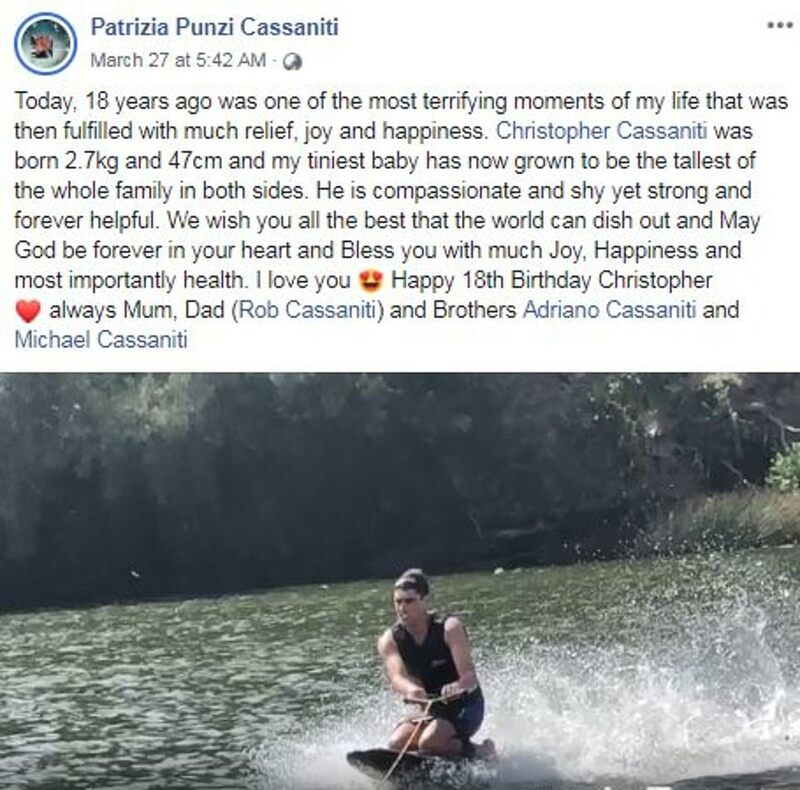 'Christopher Cassaniti was born 2.7kg and 47cm and my tiniest baby has now grown to be the tallest of the whole family in both sides. He is compassionate and shy yet strong and forever helpful. 'We wish you all the best that the world can dish out and May God be forever in your heart and Bless you with much Joy, Happiness and most importantly health. 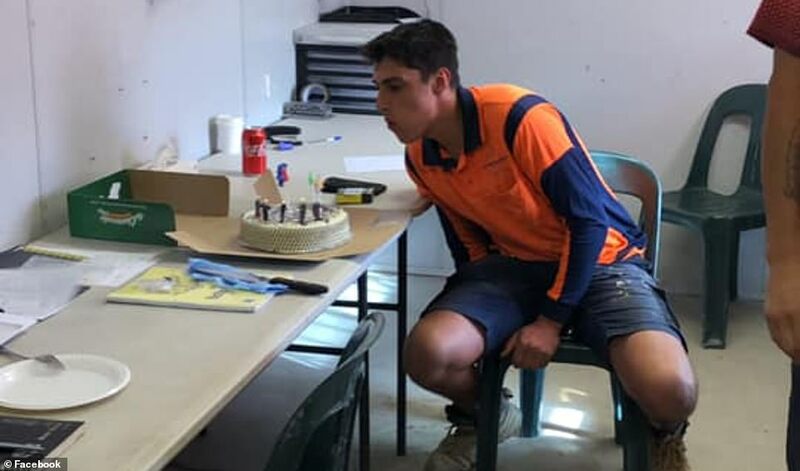 Construction Forestry Mining and Energy Union (CFMEU) state secretary Darren Greenfield told reporters on Monday the boy's parents were shattered. 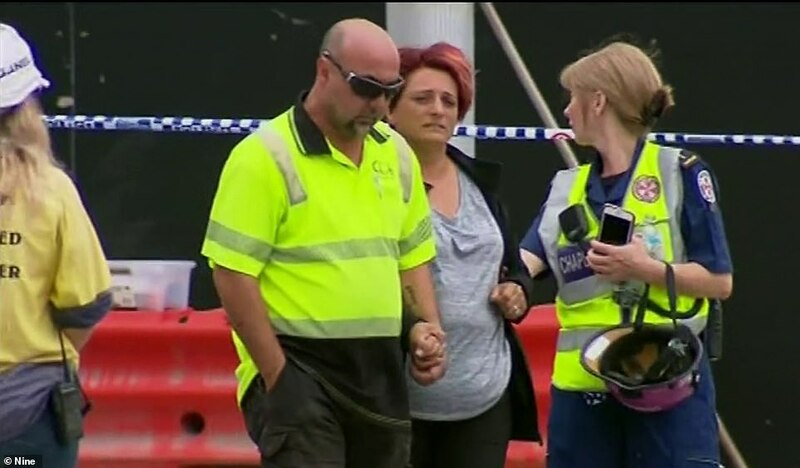 Tributes poured in for Mr Cassaniti, whose mother runs a mobile coffee van near the construction site. 'You were such a ball of energy and so hard working, you will be sorely missed by all your family and friends. Nothing more could I have asked for in a little brother,' his older brother Adriano posted on Facebook on Monday. 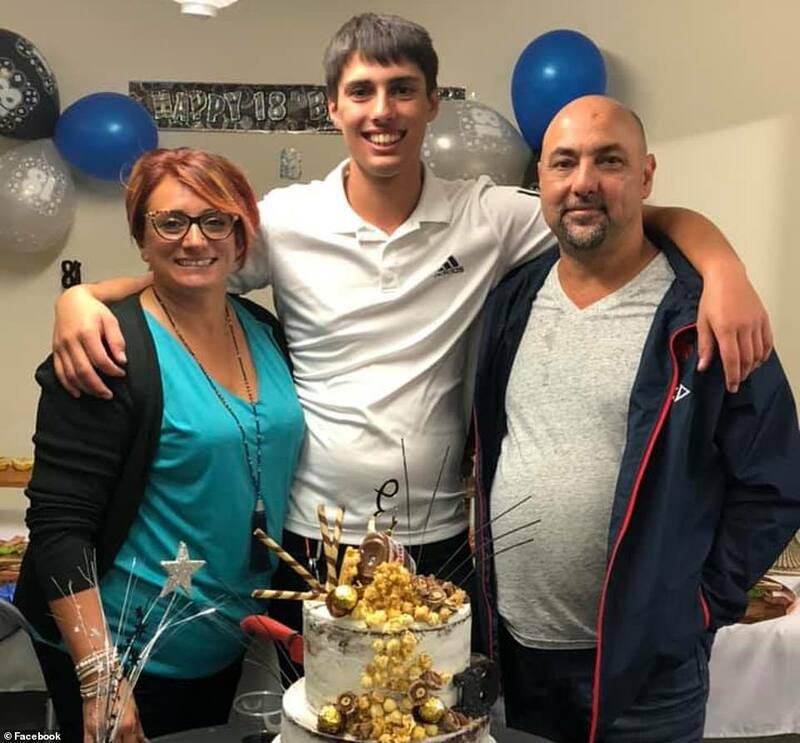 His mother also paid tribute to her 'compassionate and shy, yet strong and forever helpful' son when he turned 18 just days earlier. 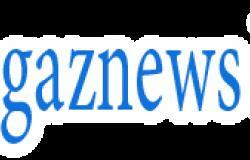 'We wish you all the best that the world can dish out and May God be forever in your heart and bless you with much joy, happiness and most importantly health,' Mrs Cassaniti posted. 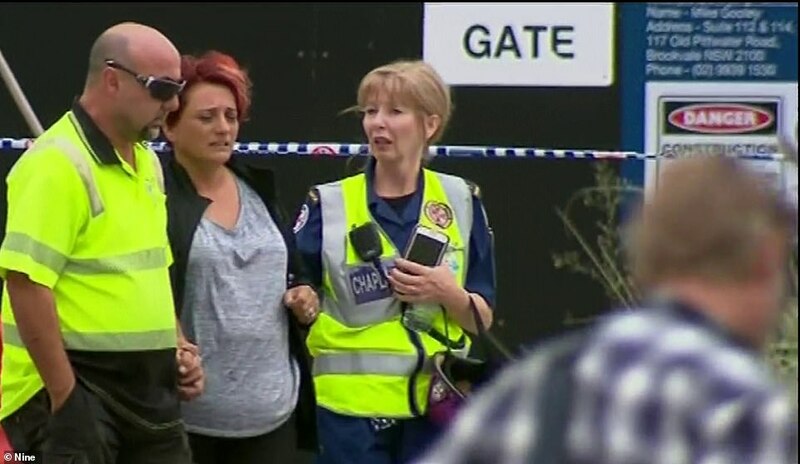 'Today I am crying because I have lost a person who occupied a very special place in my heart,' Mr Cassaniti's kindergarten friend Bella Mineo posted on Facebook. Family friend Damion King, 16, told reporters he last saw Mr Cassaniti a day earlier.